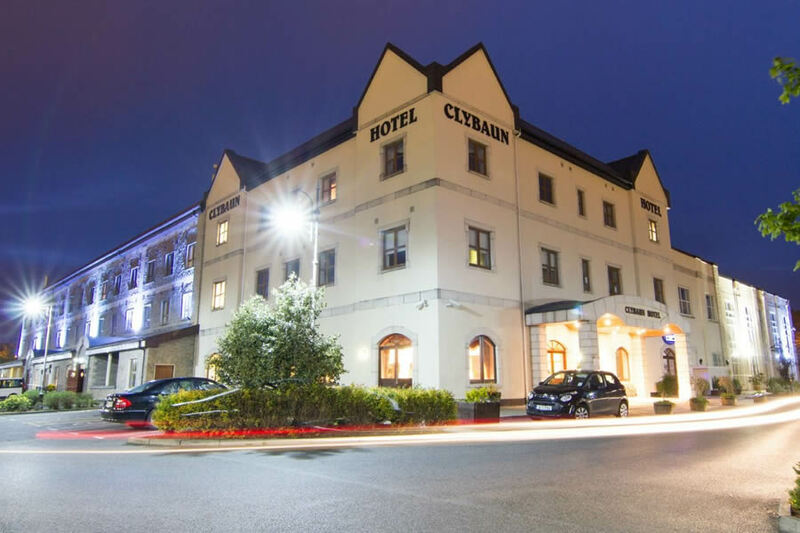 Featuring a sauna, a jacuzzi and an indoor pool, Clybaun Hotel Galway is situated in Galway and provides modern accommodation. The various facilities this cosy hotel offers include massage services, a kids pool and a coffee bar. 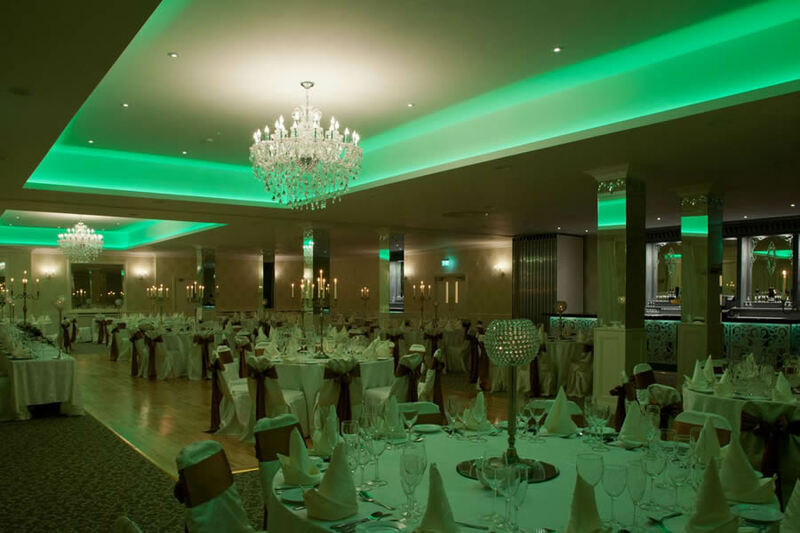 The hotel is on Clybaun road Knocknacarra Salthill Galway. Galway is an ideal base to explore the rugged landscape of the west of Ireland. It offers a terrain of remarkable beauty and diversity plus many charming villages and towns boasting an individual character and a wealth of interesting possibilities for visitors to explore. We have included a brief guide to the visitor attractions in the region, the list is by no means exhaustive so please let us know what hidden treasure you have uncovered in Irelands West. My husband and I enjoyed a lovely relaxing weekend for our wedding anniversary in the lovely Clybaun Hotel at the weekend. Its recent makeover has made it a nice bright place to be. The room was warm and comfortable. We had a beautiful breakfast. Its a hotel we had stayed in plenty of times before and it never disappoints us. Hotel staff very very polite and friendly. I have in the past and will continue in the future to tell my friends about the Clybaun. Myself and my two daughters had a lovely break. The hotel is lovely, staff so friendly, food good. All around a lovely experience. Also due to it still being Christmas season, extra special. Truly wonderful break. 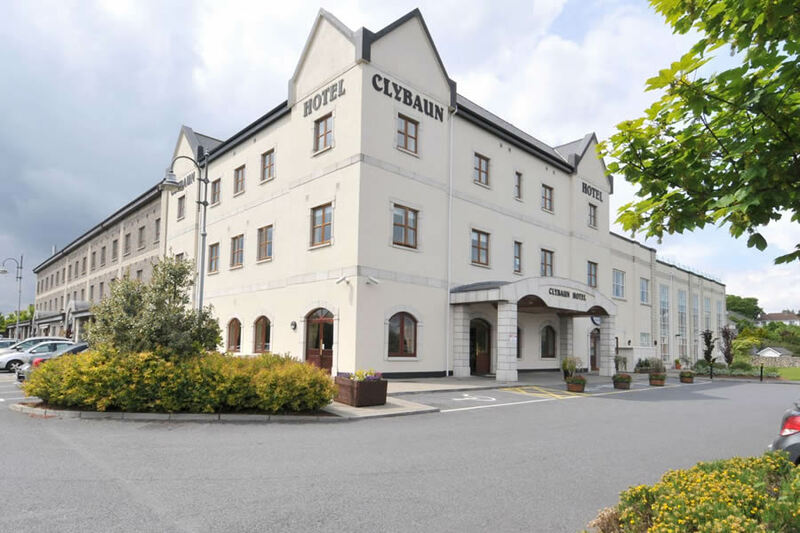 We recently had an overnight stay in the Clybaun hotel which was very enjoyable. We were given a warm welcome at reception, had a lovely room which was in a quiet place as requested. All of the staff were efficient and courteous at all times. Had a delicious dinner, good variety of food on the menu and of course the buffet breakfast had it all, from various juices, cereals, fruit,yogurts, different breads, the usual full Irish and all that goes with it! We thoroughly enjoyed our stay and will definitely return in the not too distant future. Very relaxing very friendly staff which were very professional lovely food well presented. Very enjoyable stay. lovely hotel,lovely staff,great food, will be back again. Excellent Hotel. Enjoyed our stay. Comfortable rooms. Good Food. Beautiful hotel with fabulous food. I will definitely return and would highly recommend. We stayed here for one night. Absolutely fabulous hotel, great food, lovely helpful staff and a relaxed atmosphere throughout. Will definitely return to this hotel and would recommend it to anyone who is going on holidays to Galway. STAYED HERE EASTER WITH MY FRIENDS AND HAD THE MOST FANTASTIC TIME STAFF ALL OVER THIS HOTEL ARE TOP NOTCH COULD NOT HAVE TREATED US BETTER,WE DO NOT HESITATE TO RECOMMEND THIS HOTEL TO ANYONE.THE AMBIANCE OF THE HOTEL IS SECOND TO NONE.RICHIE FOSTER. My family and I stayed in the Clybaun for two nights last weekend. I found the hotel clean and well laid out. The rooms were spacious and clean with all that we needed within. Service was prompt and the food was excellent. The staff were all helpful and efficient. There was one member of staff that really stood out to us as a family and that was Breda who worked in the restaurant. She was fantastic to us and really made a big effort with our children so much so that they wanted to go and say goodbye to her when we were leaving on Sunday Morning. She gave them both a bar or chocolate which meant more to them than anything we had done the whole weekend. As a parent of an eight and ten year old I have to say it was lovely for someone to take notice of them and make them feel special. We will certainly visit the Clybaun again in the near future because o the warm welcome we received, especially from Breda. Great value for money, great portions in the restaurant and very friendly staff, lovely modern hotel and very clean. Really enjoyed my stay at the Clybaun. The staff were very friendly and helpful from check in to check out. The hotel is spotless and the food was really good, there's a good atmosphere in the bistro bar. I'd recommend this hotel. Fab hotel. Very pleasantly surprised. Bar/ restaurant was fab, food lovely, pool was great. Bedrooms leave it down a little but no complaints. Hotel very good. Good location, Helpful staff. Facilities also good. Be good to add beans and mushrooms to breakfast menu. I have just returned from my second stay at the Clybaun Hotel and will return early in the new year. The staff were extremely helpful and Very pleasant. I was given the same room I stayed in on our first visit by request which as usual was clean and everything in working order with a nice view looking out over the front. It is very convenient to travel to Galway as the bus stops just out side the gate, It is very good value but I would like to see an improvement on the food. Service is excellent and the breakfast was a perfect start to the day. Yes I will be returning. We had a very pleasant and enjoyable two night stay at Clybawn Hotel.Room was clean bright and spacious with modern decor and a comfy bed. Staff were very friendly and helpfull.Food was great too.We will definitely be back . WE give it 5 stars. WE HAD A GREAT TIME IN THE CLYBAUN.ITS A VERY NICE HOTEL. THE FOOD WAS VERY GOOD AND THE STAFF VERY POLITE AND FRIENDLY. OUR TELEVISION WAS NOT WORKING PROPERLY AND THE STOPPER IN THE SINK WAS STUCK. WE BROUGHT THOSE MATTERS TO ATTENTION OF RECEPTION WHEN CHECKING OUT SO HOPEFULLY THEY WILL BE SORTED OUT FOR NEXT CUSTOMER. Excellent value. Great food and lovely staff. Really enjoyed my stay. The whole family loved this hotel. It has recently been refurbished and everywhere looked lovely. whilst our family room was without a view, the space therein more than compensated for this deficit. The staff were pleasant and professional and the food was magnificent and plentiful. We've stayed at the Clybaun several times and will keep coming back. Lovely relaxed atmosphere. Good spacious rooms. Pool etc clean and great for kids. Breakfast gorgeous. And loads of space for you to relax with kids nearby (huge conservatory and lobby). great for a family break. We've stayed at the Clybaun several times and have enjoyed each stay immensely. Hotel is always spotless. Staff friendly and helpful. what we like most is that the children are made feel welcome and there is plenty of space (the lobby and conservatory) where you can relax with children in the evening, Often you feel confined in a hotel room with children but not so in the Clybaun. They also thoroughly enjoy the pool and the location, near to Salthill is very convenient. we booked in last wekend the first of feb for 2 nights and really enjoyed our stay.on arrival we had a lovely meal in restaurant and the staff were lovely.the swimming pool area was spacious,we will return again.martina in kerry. hotel clybaun very good the rooms very good the hotel is in a great area to visit galway short bus run the food in the hotel is excellent the facilities great and for getting there from dublin you dont have to go in to the city i will go back to this hotel again staff 5 star hope to see you all shortly. the hotel itself was fine clean and staff friendly. However, we ate in dining room on the 2nd night and the service and food was not good. Plates were dirty, service slow and food not great standard. I wrote to the management after my visit but did not get any reply. Know I got a good deal price wise but that doesn't mean the hotel should lower its standard, big competition in Galway with lots of hotels to choose from all giving good rates. arrived on saturday 13th sept and found the room to be adequate and when we checked in we confirmed that my wife was a coaeliac and as such would need consideration for dinner. we were advised this would b not a problem however shortly after we had eaten dinner it was clear that my wives food was not totally gluten free as she suffere severe stomach pains and sickness. next morning we were very dissapointed to discover that my wife was unable to have much breakfast as there was no gluten free bread or cereal offered and she was unable even to eat the bacon as it was served in same container as the sausages which caused cross contamination to the bacon. in this day and age we find it hard to believe that coealiacs are not catered for in a modern hotel and as a result we would not return or recommend your hotel. Just back from a wonderful weekend at the clybaun, the staff are fantastic always helpful and friendly. The hotel itself is very nice and the leisure centre is great, lovely pool and the outside juzzuci wonderful. The bedrooms are spacious and perfect for families but a little dated. We had dinner on both nights of our stay in the restaurant and it was fab. Our server was just fantastic and I'm sorry I never got her name she was wonderful and made us feel so comfortable,even when our children were getting very noisy. We will definitely be returning. Great stay, lovely hotel with nice features, pleasant helpful staff and gorgeous food!! will definitely go back and also recommend it to anyone! We stayed at the Clybaun Hotel for 2 nights last weekend. The hotel was lovely and the rooms were very spacious. The swimming pool was great, the kids really enjoyed it. Overall we had a very good time. The only let down was the evening meal in the Restaurant. We booked breakfast and evening meal which was 2 courses. The main meal menu was very restricted, the choice wasn't good at all. We had our meal on the second evening in the bar which was much much nicer but a better variety. If I was staying the this hotel again I would just go B&B as the breakfast was really lovely. Excellent hotel, food very good, staff very friendly and helpful. Highly recommended. Lovely hotel, swimming pool nice, food was nice. A bit hard to find as the hotel is located a few klms outside Galway city. Staff friendly and accomadating. Had a really great stay. The nicest part of the hotel was its staff. From the patient receptionist to the staff in the spa and leisure centre. Down side is that its a pity they don't have more spa treatment rooms. A lovely girl ( I think Rianna??) did my nails in a very small room upstairs. It was very relaxing for me but the poor girls back was broken but she never complained. Would definitely go back again. May sign post it better from Salthill !!! We really enjoyed our stay at the Clybaun, lovely hotel and the staff are very helpful and pleasant. The only negatives were the service in the bar for food was very very slow and the options on the menu for the dinner package was limited. Other than that, could not fault this hotel. Lovely hotel ideal for families. Staff very friendly. Bar food lovely. Nice hotel. Nice large lobby. Rooms are big and clean. Furniture is a bit old now and could do with upgrading. TV wasn’t flat screen. Breakfast was just o.k. Only 2 choices of bread, 3 -4 fruit choices which was disappointing and no continental option. Overall, not bad hotel but breakfast choice needs to improve. just back from spending 2 days in the Clydbaun the staff very friendly and hotel clean towels a little worn and treadbare no shower hats .also no signage on approaching roads. More like afour star hotel. Lovely spacious lobby, attractive bar and bistro, and super friendly staff. Bedroom decor somewhat dated, but very spacious. Would not rate this hotel very highly. Bedrooms definately need upgrading. at least the one we stayed in does. Restaurant was closed for a function, and we were not informed of this until we arrived on Saturday, not good enough. Bar was very noisy and we decided to eat out. Leisure centre was fine. We would not wish to return to t his hotel.